The economic centre of Southeast Asia’s rising economic star, Ho Chi Minh City is one of the planet’s most exciting cities, where influences from France collide with the Orient, and where the Vietnam War is remembered like it was yesterday. And with skyscrapers, landmarks and fashion cenres galore, never has there been a better time to head to a place that, despite the global recession, is still very much alive and kicking. Vietnamese cuisine is taking off around the world, but there is still no better place to find it than in the country’s gourmet capital. 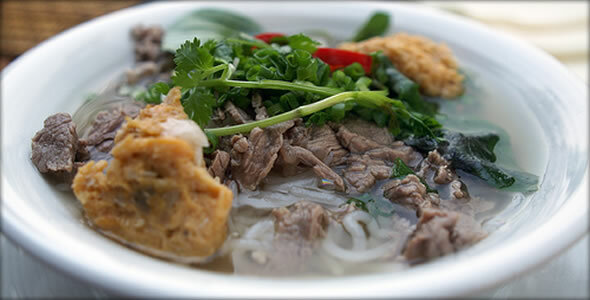 Join the likes of Bill Clinton at Pho2000 near Ben Thanh Market, which proudly proclaimed “Pho for the President” along with various photos of the then President of the United States enjoying a bowl of pho at the iconic restaurant. The menu here is long and varied, and is packed with locals and tourists alike. Those looking for something a little more fusion should head to Xu Bar, which is not only one of the cornerstones of night life in the city, but is also the place where the celebrated Chef Nyuyen is attempting to revamp traditional Vietnamese cuisine. The Ho Chi Minh City is brighten up by various lights at night, giving it a laid-back atmosphere that give rise to the prevalence of cafes dotted along the streets. 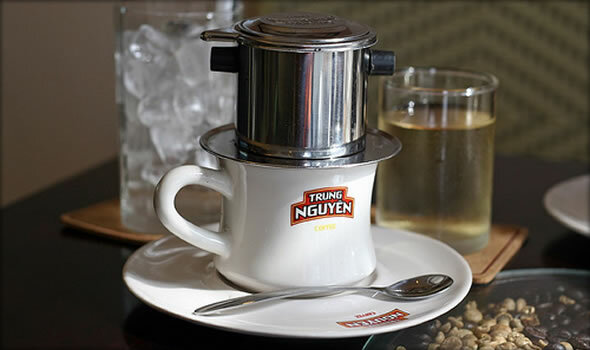 Vietnam is one of the world’s most renowned producers of coffee, and caffeine lovers will find themselves in aromatic heaven trying out the varied local brews here. For a sure-fire way to refresh and relax, pick a random cafe at a bustling street corner and order a local brew. Sit back and enjoy as you laze yourself and watch the various pedestrians passing by. Other than a pick of bustling cafes to relax and sip your time away, the Ho Chi Minh City also plays host to numerous trendy bars that is a favorite of both locals and expats. The Q Bar, Saigon Saigon Bar, Xu Bar, Lush and Velvet are but a few in the long list of popular hangout spots for the party crowd, each with their own distinct trendiness and appeal. It’s pretty easy to navigate the sprawling metropolis of Ho Chi Minh City on foot, particularly since most of the places of interest is located in District One. Start with the Notre Dame Cathedral, an outstanding red-brick building adorned with staiend glass, then move on to Saigon Central Post office, a French colonial building with a classic interior. This also operates all postal services from the city and is the best place to buy a phone card. The Opera House typifies the city, showing both western operas and traditional Vietnamese performances. The Reunification Palace was the home of the former Viet Cong leader who the city is named after and is a grand colonial building overlooking the city centre. After exploring the iconic landmarks of District One by foot, rent a motorbike and cruise along the streets for a way of transportation that has become ingrained into the fabric of society. 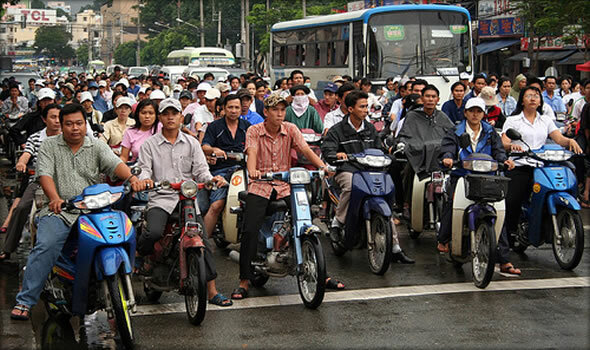 Throngs of Vietnamese commuters travel by motorbike, and although it may not be one of the safest way to travel, it is certainly one of the most authentic. One of Vietnam’s biggest tourist attractions, the Chu Chi Tunnels are a network of underground caverns built during the Vietnam War. About 121 kms long in total, visitors can take a tour of the tunnels and see for themselves the conditions in which the Vietcong waged a bloody war against the machinery of US. 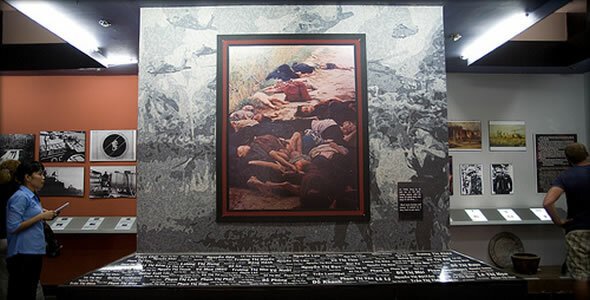 The War Remnant Museum, also known as the Museum of American Atrocities, is another tourist attraction worth visiting. It’s extremely biased and one sided, but still an important insight nevertheless into the Vietcong’s reaction to the war. Aside from eating most visitors to Vietnam’s number one city find themselves spending most of their time here shopping. 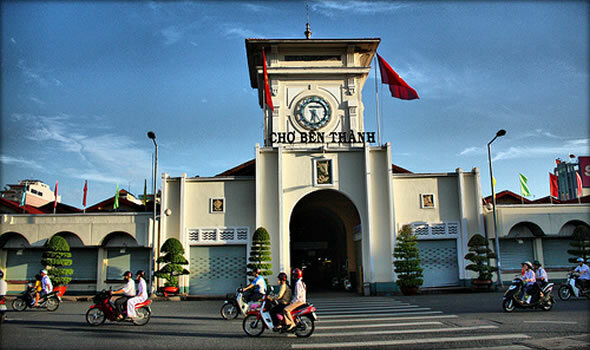 Ben Thanh Market is a major market in Ho Chi Minh City and is the place to find souvenirs. There is a wide selection of t-shirts sporting the likes of “Good Morning Vietnam” and “Miss Saigon” to lacquerware and embroidery, and for those that love a good brew, some of the best coffee beans in the region. Ladies will want to try out the Ao Dai, the Vietnamese national dress, which is one of the most exquisite in the region, combining trousers and a dress.